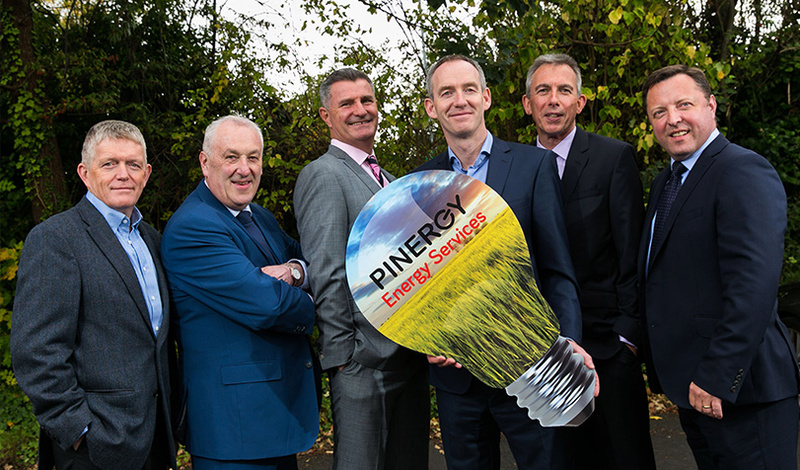 Electricity supplier Pinergy has announced the establishment of a new Energy Services division dedicated to providing both domestic and business customers with a range of energy efficient technology solutions. Pinergy has partnered with some of Ireland’s most innovative energy technology providers that support a range of solutions including solar energy, wind energy, heat pumps, LED lighting and refrigeration energy systems. What can we expect from this new venture? Pinergy is underpinning each of its partner technologies with smart energy management software that provides customers with greater insight into their energy consumption through user friendly dashboard presentation screens. Based on these insights, customers can take actions to reduce usage and create savings. Pinergy has expanded its energy advisory team to work with existing and prospective customers on a one-to-one basis to recommend the best solution to meet their specific energy objectives, be that reducing energy waste, promoting energy efficiency or lowering carbon emissions. All technology solutions can be provided with 100% funding, allowing payments from energy savings over a long-term contract. Airsynergy: a Dublin headquartered clean tech firm, which designs and manufactures micro-turbine technology harnessing wind and solar energy. Solar Electric: Ireland’s leading solar PV company. Glenergy: a provider of energy efficient technology covering heat pumps, CHP, geothermal systems and electric vehicle charging. Get Solutions: an energy consultancy business, providing intelligent energy monitoring and management services. GE Lighting and distributor MCL Lighting are working together with Pinergy to provide LED lighting technology and LED retrofits that achieve savings of up to 80% on running costs. Pinergy has also stated its continued commitment to roll out smart meters and innovative smart services to both domestic and business customers. The company currently has over 35,000 customers and is forecasting further growth within the SME market with its latest expanding portfolio of smart energy solutions and advisory services.